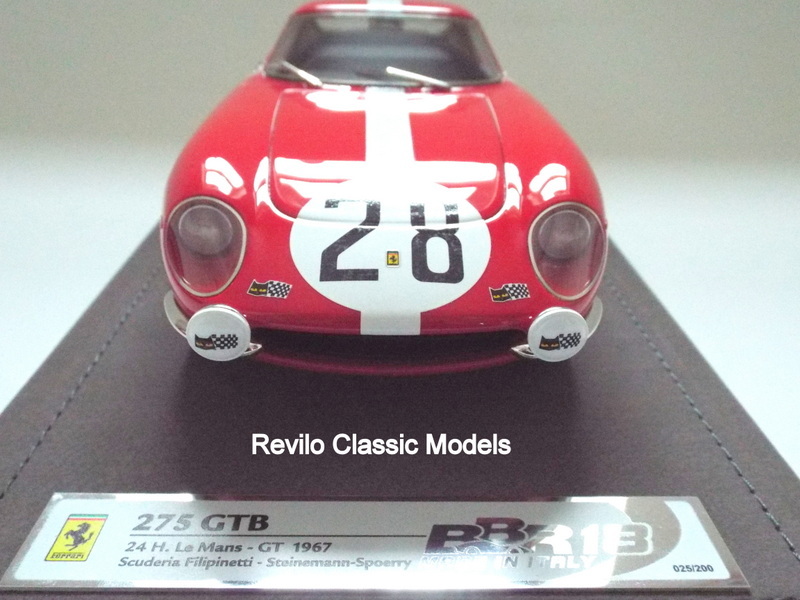 BBR Ferrari 275 GTB 1:18 scale, 1967 Le Mans. 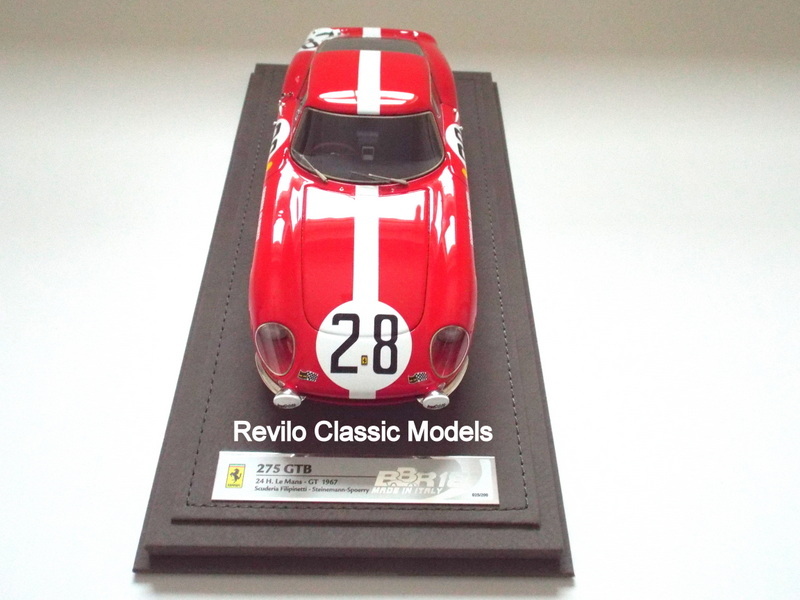 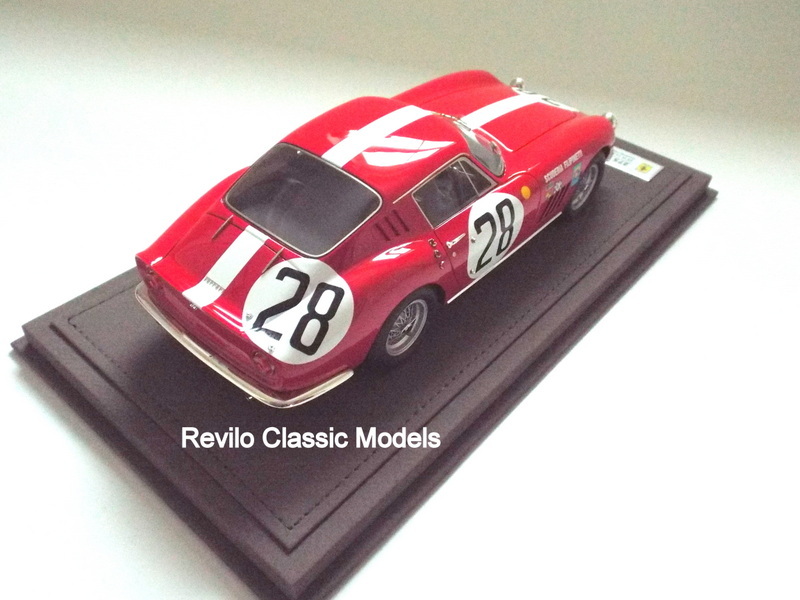 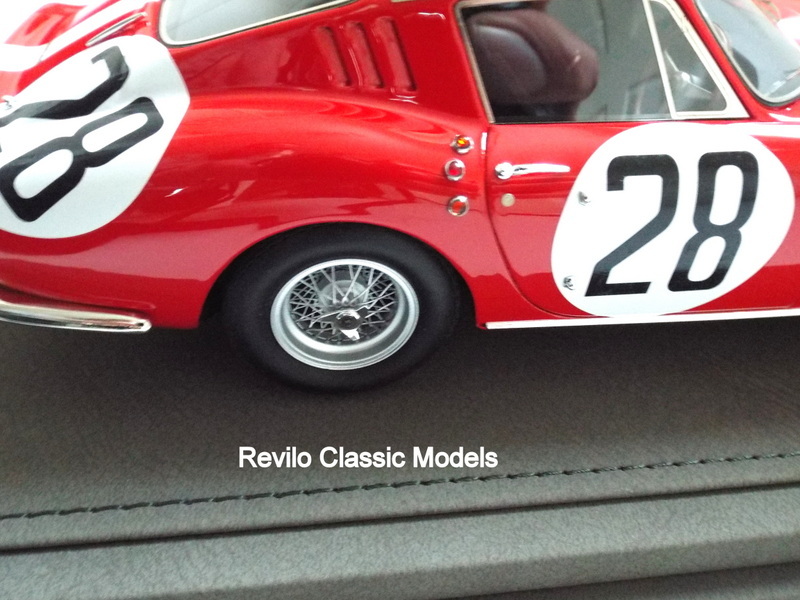 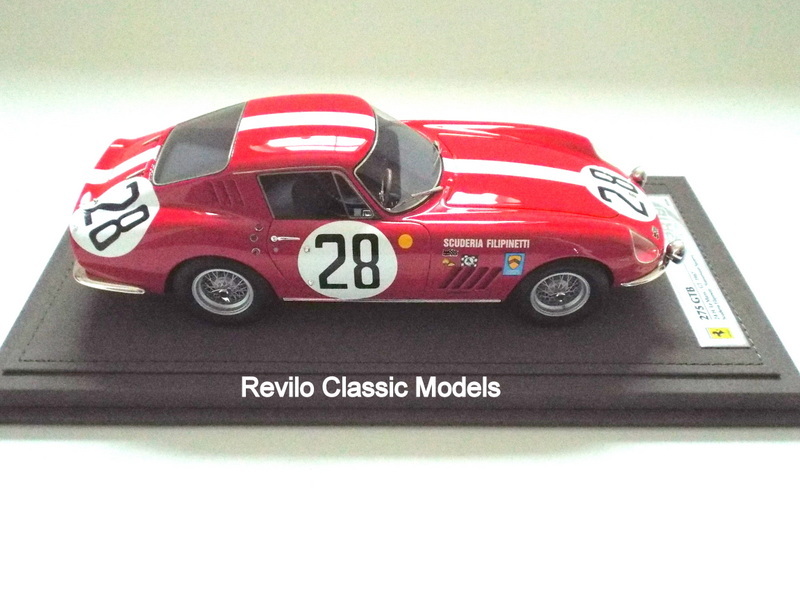 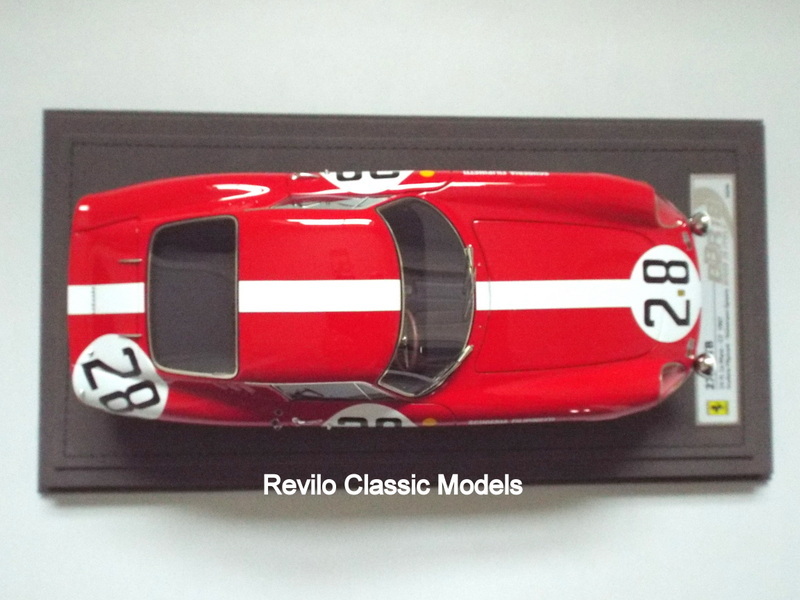 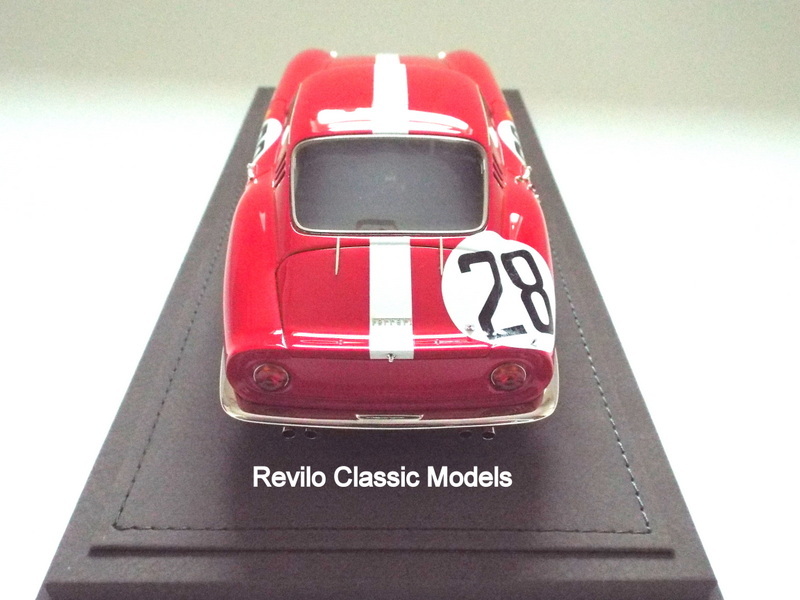 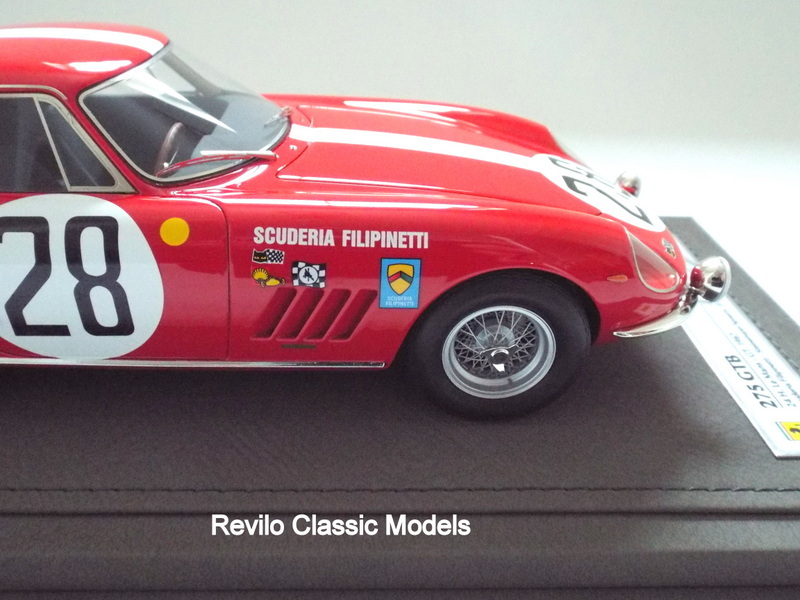 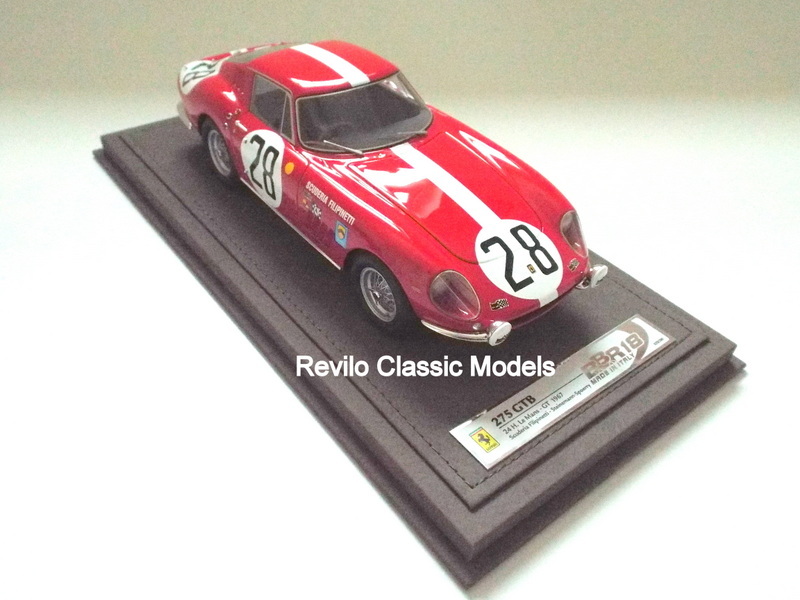 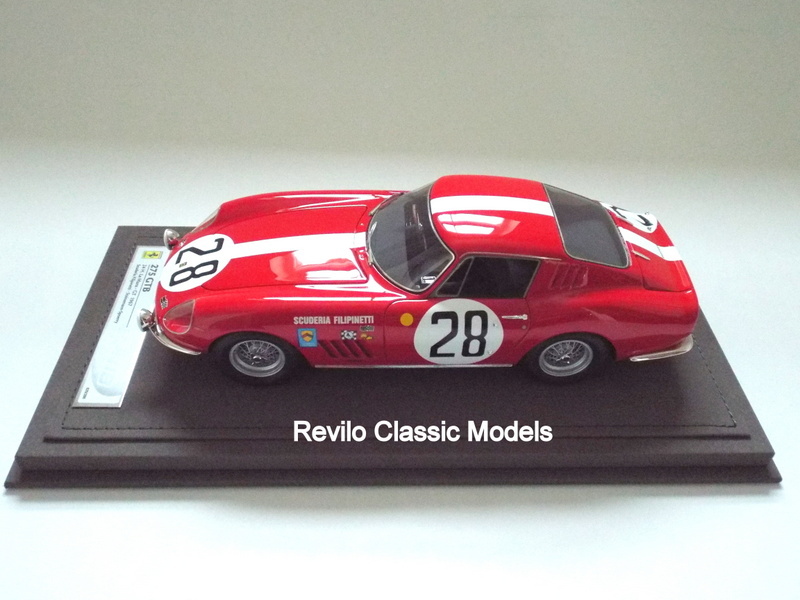 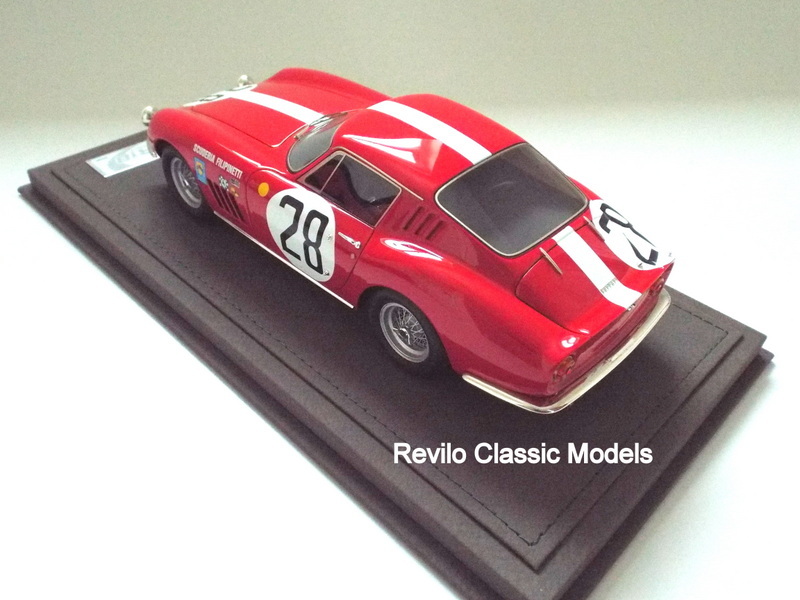 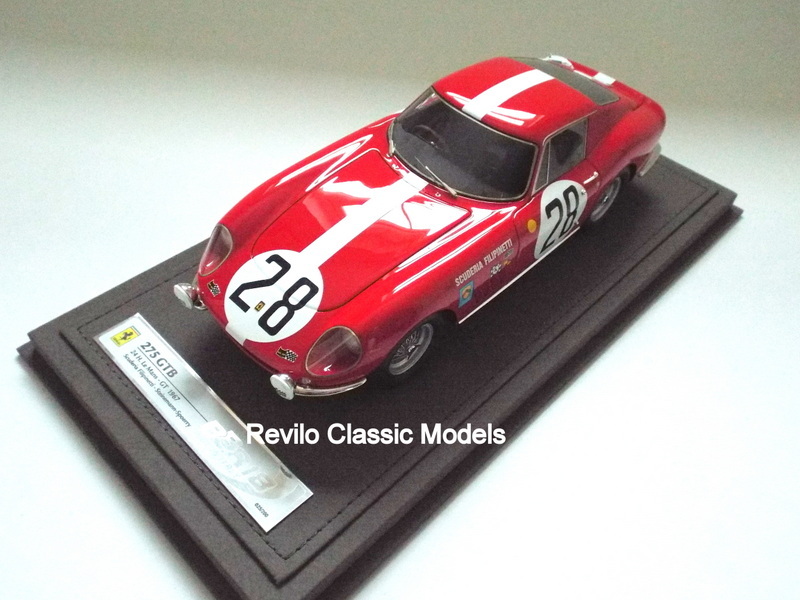 This is a limited edition (25/200) 1:18 sclae model by the Italain model maker BBR of the Ferrari 275 GTB that took part in the 1967 Le Mans 24 Hour race. 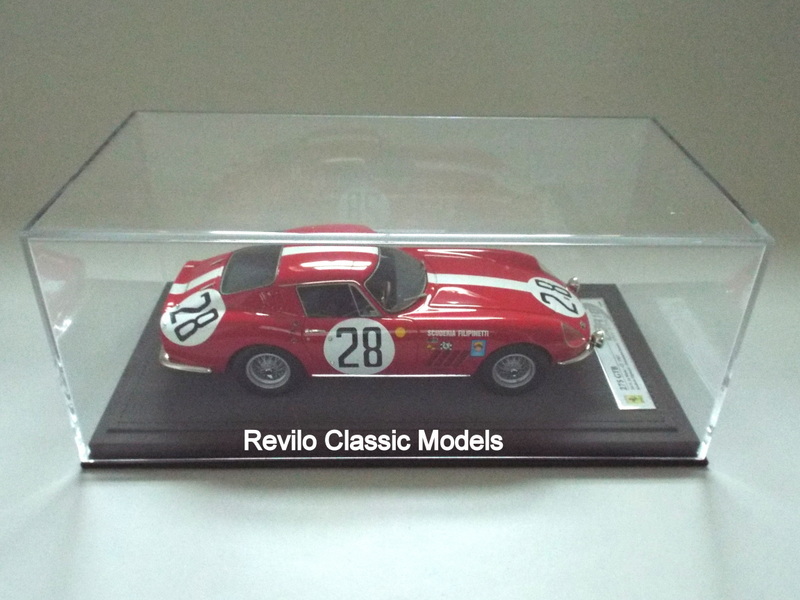 This brand new model is a sealed model, with wonderful attention to detail and paint finish. 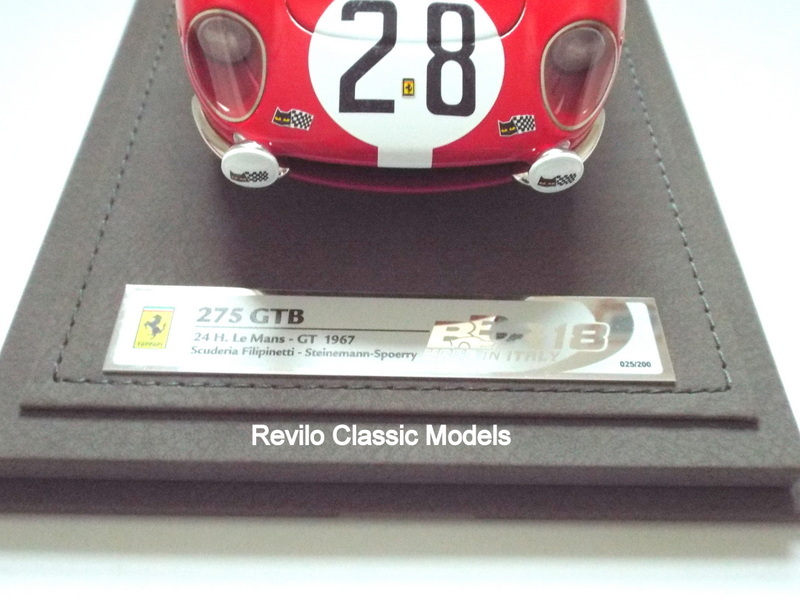 The model sits on a leather bound plinth with a plaque detailing the model and a perspex cover. 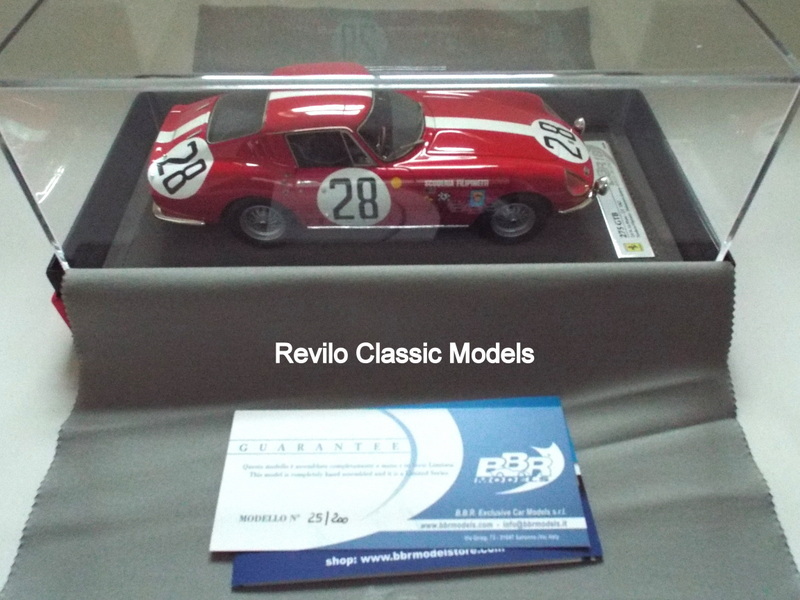 The model come in a very nice red box.